The Essence Process provides cutting edge, experiential personal development courses. It was founded in the UK in 2003 by Family and Systemic Psychotherapist and Psychologist Dr Menis Yousry. He has facilitated over 1,500 events in more than 30 locations worldwide. His courses allow people to re-examine their internal unconscious map of the world that was formed early in life and transform the influences it has on their current experiences and relationships. The Essence Process does not offer courses in Dubai at the moment. Please look at International Calendar to find the country nearest to you to travel to. Please note: all courses are delivered in English with translation to the local language. 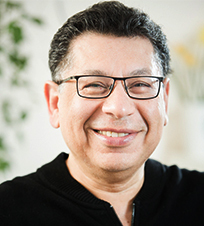 Dr Yousry is a Family and Systemic Psychotherapist and Psychologist who skilfully combines therapeutic, biological and psychological approaches in his courses, inspiring participants to gain deep insights into how to feel, understand and manage their emotions. He offers alternative, new experiences as an effective tool for creating new possibilities and the best chances to feel safe and enjoy healthy relationships. From before each of us was born, and up to a young age, our experiences of the world and of our parents shaped us in ways we do not even realise. Our brains were not developed enough to make sense of our early lives and so these experiences become unresolved, unconscious memories. Our responses to situations and events are often unconscious reflexes we devise to protect ourselves. As adults, this can lead us to repeat unwanted patterns that prevent us achieving what we really want. 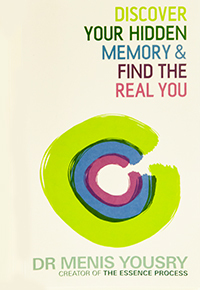 Discover Your Hidden Memory and Find the Real You reveals the powerful, invisible waves of influence that inform our actions, bind us to the past and hold us back in our present. Simple but effective exercises provide the tools to identify exactly how our actions today are connected to our early childhood experiences and our relationships with our parents, as well as to past generations, history and culture. It also shows us what we can do about it now!